To get the all history elements of a GIT repository the library LibGit2Sharp is used. 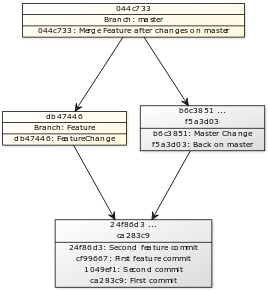 After retrieving all commits of all branches, linear commits are merged into a single element. Commits are merged if they don't have several parents (merge commit) or more than one child (new branch is created). 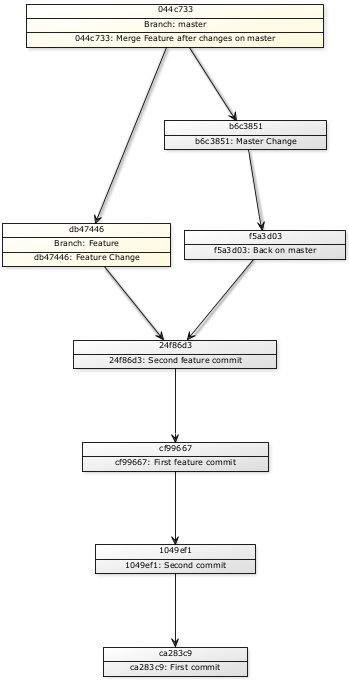 This results in a graph where all linear commits are merged and you are able to see only the branch structure of your repository. Rendering the graphs with yUML.me is pretty easy.